They say he holds tradition in high esteem right from when he had yet to accede the throne. And even beyond then, he is profoundly committed, holding tenaciously to preserving and expanding the Yoruba tradition beyond the shores of the race. He is the Imperial Majesty, the Ooni of Ife, Oba Adeyeye Ogunwusi, the Ojaja 11, the preserver and custodian of all the Yoruba deities. Building and consolidating on the unalloyed resolve to promoting the Yoruba culture by the late Ooni of Ife, Okunade Sijuade, Ooni Ogunwusi, upon his accession to the throne of his fore-fathers, has been advocating culture expansion and the Yoruba unity. This is why both he (Ooni) and the Federal University of Oye Ekiti entered into a collaboration sometimes ago, when the latter’s Theatre Art Department staged a dance drama in Ooni’s palace. The high premium he places on tradition reflects anytime he is decked out in his full regalia, giving a total representation of the traditional Yoruba king from head to toe anytime sighted. Just after his installation, he celebrated two principal traditional festivals, among which were, Olojo and Aje festivals. The Olojo festival commemorates the descent of Oduduwa, the progenitor of Yoruba to Ile-Ife. The festival is historically tied to Ogun, the quintessential deity of iron and truth and the father of modern science, who charted the way to earth for Oduduwa and other spiritual deities. It was during this festival that Ooni Ogunwusi is given the privilege to wear the Aare Crown, which is not worn on any other day. The Olojo festival is one festival that brings all sons and daughters of Ile-Ife together for a week-long activity to celebrate the gods and cleanse the land from all the perceived evils. 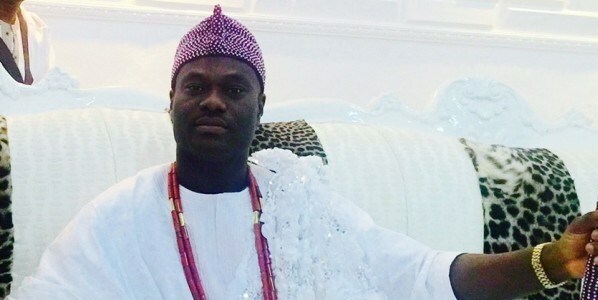 Besides the Olojo, the Ooni has had to celebrate the Aje Festival (Festival of Wealth), where he disclosed to the people that the ancient city of Ile-Ife has devised cultural tourism revolution as a veritable tool in battling recession which gripped the nation in 2016, reducing its effects to a minimal level for his people and Nigerians. According to Ooni, Aje (deity of wealth) is a mother and goddess created at the dawn of time sent to the earth alongside Olokun (goddess of the oceans) just like God sent the duo of Obatala as Olofin Owuro kutukutu and Oranfe Onile ina. While Aje and Olokun served and have since become the supernatural benefactors of earthly wealth for mankind, Obatala Olofin owuro kutukutu and Oranfe (Sango), and Osangangan were and still remain the custodians of morning and afternoon respectively who combined efforts to build Ejigbomekun market (EJI in Yoruba means two) with courses used as means of exchange after trade by barter. In his efforts to unify the Yoruba nation, the highly revered monarch, just after his coronation, embarked upon an unprecedented visitation to principal Yoruba traditional rulers across major Yoruba towns and communities. The visit took him on a three-week tour of the United States of America, accompanied by other traditional rulers and chiefs of Ife Kingdom, where he was honoured by the New Jersey Congress and Mayor Ras J. Baraka, and given the key to the City of Newark. Aside this tour, Ooni paid a visit to Badagry, where he called on The Akran of Badagry, Oba Aholu Menu-Toyi 1, emphasising the need for the unity of the Yoruba race. Ooni also visited Ghana, where he was treated to a warm reception by John Mahama and his government. The goal of the visit was to prioritise the unity of Africans by relaxing policies that encourage the physical and mental boundary set between African countries by the colonial masters. In a bid to showcase and promote African culture to parts of Europe, the Ooni also embarked on a tour of Germany, Netherlands, Austria and Hungary sometimes early in his accession to the throne. The tour was arranged by Africulra Awards, in conjunction with 127 Yoruba associations in Europe. It had the diplomatic support of Nigeria’s Consulate offices in Germany, Netherlands, Austria, Hungary and other diplomatic missions in Europe, which also played host to the Ooni during the period. The Ooni of Ife visited the paramount ruler of Ijebuland, Sikiru Adetona, at Ijebu-Ode, ending 75 years of rivalry between the two monarchs. The last time Ooni visited an Awujale was in 1941, when the late Ooni Adesoji Aderemi was on the throne. Ooni Ogunwusi also visited the Alaafin of Oyo, Lamidi Adeyemi, to end a 79-year-old supremacy battle between the two thrones. Likewise he visited the Alake of Egbaland, Oba Adedotun Gbadebo, and the Osile of Oke-Ona, Oba Adedapo Tejuoso.